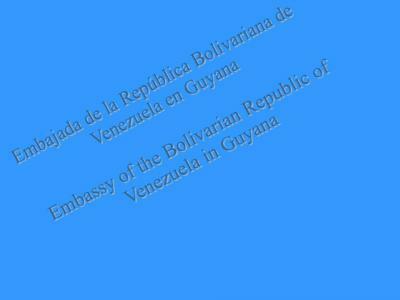 GUYANA joined with the Bolivarian Republic of Venezuela Saturday in celebrating its 197th independence anniversary. At the ceremony held at Le Meridien Pegasus, acting President Samuel Hinds joined ambassador of the Bolivarian Republic of Venezuela, Dario Morandy, and other members of the diplomatic community in celebrating the occasion. Mr. Hinds considers this significant occasion the celebration of a dream and aspirations of the regional hero Simon Bolivar, for a free and independent hemisphere. He said both Venezuela and Guyana today enjoy opportunities to work collectively with other Caribbean and Latin American countries as a result of the Union of South American Nations. “Guyana is now benefiting under the Petro Caribe agreement and attaches great importance to the initiatives both within the Caribbean sub-region and the wider hemisphere to achieve energy security,” Mr. Hinds said. He reassured the Guyana Government’s commitment to the process of peaceful solutions between the two countries, while referring to border related issues which both countries have decided to settle arbitrarily through the United Nations. Venezuela’s independence was described by Ambassador Morandy as the outcome of a struggle to achieve freedom and sovereignty. In this regard, he lauded the leadership of Venezuela’s current President Hugo Chavez who continues the struggle for the achievement of the principles of peace, social justice, human rights and freedom. He added that under these principles, the country’s government is pressing for integration of people in Latin America and the Caribbean. This pursuit, he said, has paved the way for the identification of common interests in the areas of energy, communication, social and cultural programmes which are already developing, the Ambassador said. Highlighting developments in the energy sector, the ambassador alluded to the initiation of a cooperation programme under the Petro Caribe agreement to supply 50 percent of fuel consumed by Guyana. “This was a policy established in 2004 by the Government of President Chavez with the objective of guaranteeing the supply of gasoline and diesel at considerably low prices and under conditions of absolute solidarity,” the Ambassador said. The project, the Ambassador noted, has gone a step further, through discussions with the Guyana Government to facilitate a permanent supply, greater efficiency in transport, timely payment and strengthened collaboration. He said a major boost in this direction was noted in May when President Chavez cancelled Guyana’s US$12.5M debt owed to Venezuela since 1974, with the hope that the decision will provide Guyana with greater financial freedom in its relations with multilateral organisations. He added that a proposal was also presented for the construction of a gas pipeline through from Venezuela, Guyana and Suriname to ensure sufficient supplies to both countries. “This is part of the discussions on issues of bilateral cooperation and it is expected that in the medium-term, this project will become a reality and will be strengthening on our ties of integration and economic sovereignty,” the Ambassador said. With Guyana gearing to host the Caribbean Festival of Arts (CARIFESTA) X in August, the ambassador said Venezuela’s ample contribution will result in a very enthusiastic cultural exchange.